Easy to find and check in. Fantastic location. Great host and very friendly cleaning lady. Cannot wait to go back. Proximity to the beach and places to eat. Super convinient for boat cruise lovers. Straight opposite the sea - very easy friendly check in. Lovely hosts. Lots of space in room - great shower. General location 5 - mins walk to centre Scala. Easygoing. Even though it didn't have a pool you could use pool either side. Two restaurants straight beside apartments - quiet at night. Great location and friendly staff. All ran very smoothly. Thanks a lot! We liked almost everything. The host is very kind. Cleaning lady is also very kind and helpful. Most of all they let you feel at home. The location: just in front of the beach. Amazing. The terrace is very nice. You can use the facility of the hotel next door. Swimming pool is great. The town Skala is cozy with many shops and restaurants. Spotlessly clean and towels and sheets replaced every three days. Short walking distance to main town area. Nice view looking out onto the beach. Location was excellent. The beach was very close and perfect. We enjoyed the selection of books that was provided at the apartment. Variety of restaurants around. Kids loved the possibility to use the swimming pool of the neighboring hotel. Fantastic location, right across the road from beach. Use of pools in nearby hotels no problem. Everything needed for a self catering stay. The property is really good value for money. We loved the balcony, the garden, the possibility of using the pool from a neighbouring hotel. The Captain's life story is a delight and we loved chatting with him about it. We had a little kitchenette in the room, appropriately equipped, which came very much in handy. The villa is literally a stone-throw away from the beach and close to a delicious confectionery called Sugaro. Staff were friendly and everything was simply easy and cosy. Lock in a great price for Aegealis Studios – rated 8.3 by recent guests! 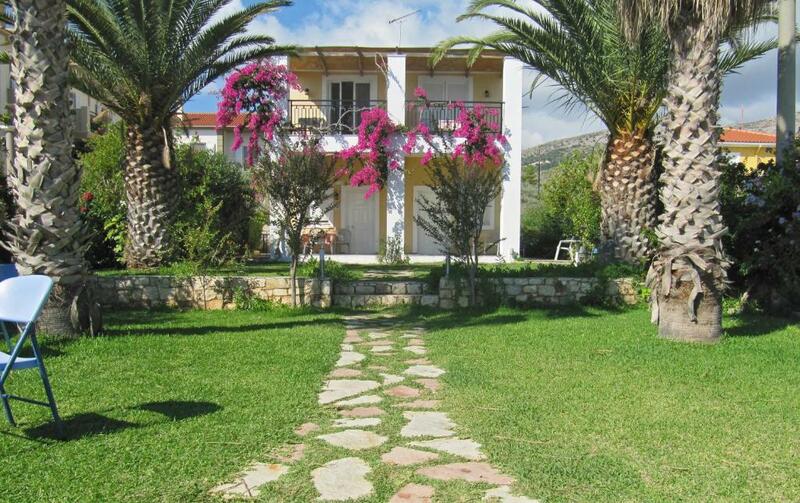 Located right on the beach of Skala in Kefalonia, Aegealis Studios is only 1,300 feet from the village center. It features self-catered accommodations with balcony or terrace and garden views. A kitchenette with cooking hobs, fridge and coffee maker is included in all the air-conditioned units at the Studios Aegealis. Each comes with a cable TV. Guests of Aegealis Studios can freely use the swimming pool of a sister property, located at 150 feet. A cleaning service is offered daily. The seaside resort of Katelios is 2.5 mi away. Argostoli, the main town and port of Kefalonia is within 22 mi. Free public parking is possible nearby. When would you like to stay at Aegealis Studios? Right on the beach, this air-conditioned studio features a kitchenette with fridge, cooking hobs, toaster and coffee maker. Includes a cable TV. It enjoys side views over the Ionian Sea from its balcony. Located on the ground or the first floor, this spacious, air-conditioned apartment is right on the beach, with a separate bedroom and living area with kitchenette and sofa bed. Equipped with fridge, cooking hobs, coffee maker and toaster. Includes a cable TV. It has a patio with garden views. Please note that a cleaning service is offered daily and linen is changed every 3 days. Located on the ground floor, this air-conditioned studio features a kitchenette with fridge, cooking hobs, toaster and coffee maker. Includes a cable TV. This air-conditioned studio, located on the first floor, enjoys views of the rear garden. It features a kitchenette with fridge, toaster and coffee maker, and a TV with cable channels. This air-conditioned studio, located on the first floor, enjoys side views over the Ionian Sea from its balcony. It features a cable TV and kitchenette with coffee maker, toaster and fridge. Kindly note that the 3rd guest will be accommodated in a roll-away bed. This air-conditioned room enjoys Ionian Sea views from its spacious terrace. It includes a kitchenette with toaster, coffee maker and fridge. A cable TV is included. 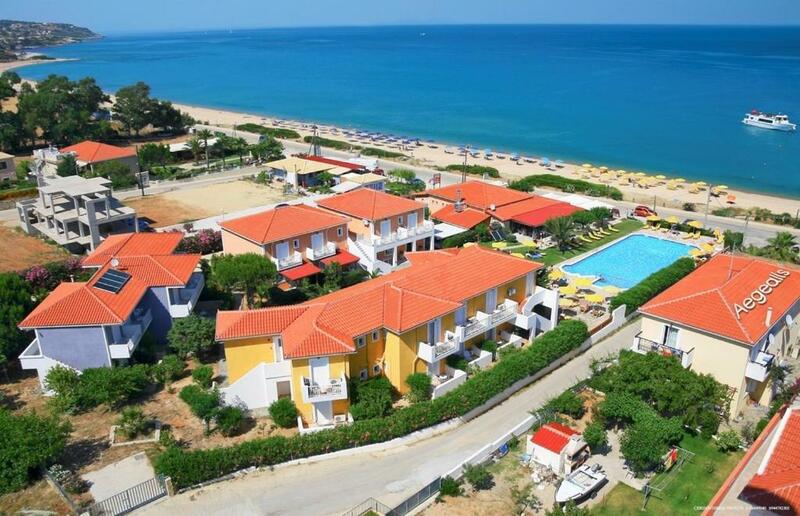 This air-conditioned studio opens to a 9-yard balcony enjoying Ionian Sea views. It features a cable TV and a well-equipped kitchenette with fridge and coffee machine. House Rules Aegealis Studios takes special requests – add in the next step! Aegealis Studios accepts these cards and reserves the right to temporarily hold an amount prior to arrival. Just the bed.everything else perfect. - matrass is cracking and not very comfortable - There was no ventilation in the bathroom - shower too small and bathroom gets too wet - Wifi is weak. But I think it is a problem of the whole island and not particular of this hotel. 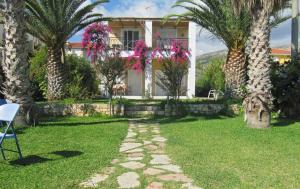 Located between to larger villa complexes which where rather noisy in the evening. Poor wifi reception.